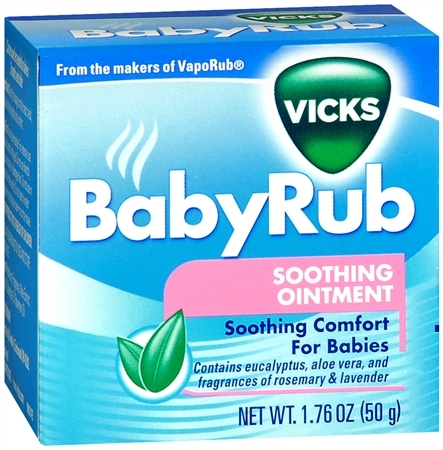 Vapor Oinent Specially formulated, soothing comfort for babies. At times when your baby is fussy or irritable you want to do everything to can to soothe and comfort them. 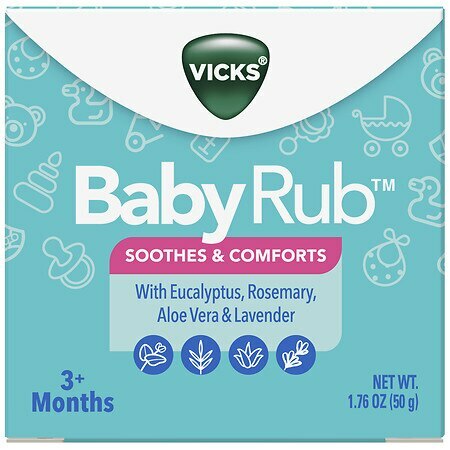 The gentle Vicks BabyRub formula is made for babies' skin, and contains Eucalyptus, Rosemary, and Lavender - known for their pleasant aromas, and Aloe Vera to help soothe fussy babies. 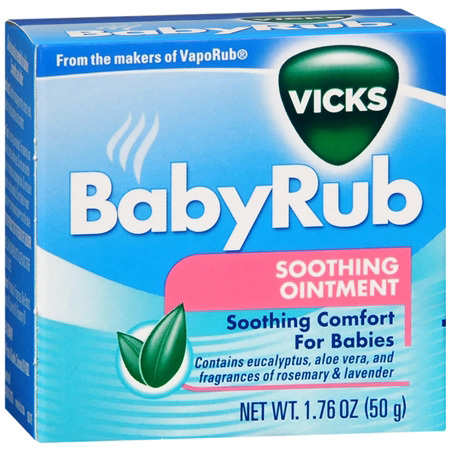 Vicks BabyRub BabyRub Soothing Ointment - 1.76 oz.